Settled in, loving my new ministry–and I might do what? Let’s start with the end of the story. I know, that goes against all the rules, but I think it’s one of those times to break the rules. The end of the story goes like this: I’m closing on a house next Wednesday! Yes, you read that right. No typo going on here. Going over my options, financially it just makes more sense to buy than rent down here in Florida. I figured it would take time to find what I was looking for at the price I wanted, but I had time on my side. Start now, I reasoned, and I had plenty of time. Looking at it that way, I started this process shortly before Jamie left so I could have his input. We went out one night together with the realtor. There was the villa in a nice location that needed too much work for the price; the perfectly priced small home in a neighborhood where police stopping by for domestic violence served as entertainment; two fixer-uppers in good areas that were so involved it was exhausting just to think about it; another with potential if the price ever came down; and then we walked into the last house—and it was a pleasant surprise. It had everything on my mental checklist and was nice besides. “You really should jump on this one,” the realtor told me, apologizing in the same breath for being pushy. “It’s just the chances of finding another one this nice in your price range is pretty low.” Having followed the market for the past year, I knew she was right. But how do you admit to your realtor that you really weren’t expecting to find something that quick and you aren’t quite in the decision-making mode? That, in reality, you are more in the window-shopping mode? I went home and prayed about it. … Then I put in an offer. Things just started falling into place. Once the offer was accepted, I was going to say something—but then the inspections were taking place in short order, so why not wait for those? The inspections passed—and by that night my realtor called to let me know everything else had come in. Paperwork that usually takes a few weeks to process showed up on her desk in a few days’ time. We were all set. We were ready to close. The realtor suggested we move up the closing date from May 28 to sometime next week. Right. Next week. Just over three weeks from when I first looked at the house. Now we’re back to the end of the story: I’m closing on a house next Thursday. But I guess that’s not quite the end. I may be moving in June—or may possibly be renting it out for about six months. I’m good with either, just waiting to see which way the Lord directs all involved. Your prayers are appreciated! 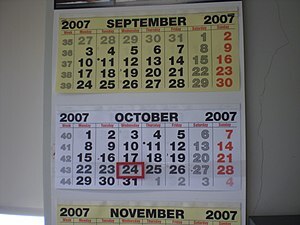 I glance up from the computer screen to the calendar hanging on the office wall. I reach to flip to the next month. The new year is passing us by. A lump forms in my throat. Tears begin to well, but I fight them down. Now is not the time nor the place. But the feeling remains. As the year hastens on, I can’t help but feel like it’s hastening on to the death of my beloved. I want time to stand still. Picking out a Valentine’s card is supposed to be a joy. Instead, I’m fighting for composure as I search for the perfect card. A card that doesn’t brag on how many more years we’ll enjoy together. A card that doesn’t brag on growing old together. Valentine’s cards don’t say how much you’ll miss them. Ten cards later I finally find it. A card that simply tells him how much I love him. A card that tells him how much he means to me. I smile through the tears. Our eldest son is saying his goodbyes. He’s heading off to basic training with the Air National Guard. He’s mature and calm on the outside, but jumping up and down with excitement on the inside. It’s a moment he’s been waiting for. It’s his moment. My husband hugs him good-bye. A poignant scene. I can’t help but wonder if this is the last good-bye. I wonder if my husband will ever see his son again. But this is not a moment for mourning for the what-ifs. It is a moment for rejoicing for my son. Family day at the New York State Fair. My husband and I are walking hand in hand through the noise, the sights, and the cheerful faces. I’m smiling. Enjoying the day. The chances of him being here with me next year are… . I refuse to finish the thought. Instead, I intertwine my hand more tightly with that of my husband’s. I push the thought aside and concentrate on the here and now. And then the culmination of all those moments. The visit when the doctor admits there is nothing else they can do and hospice is called in. The sudden deterioration in my husband’s condition. A blood loss that can’t be compensated for. Awaking to find that my husband’s frail body is now but a shell. He has been graduated to glory. I’m so thankful that God is in all those moments right there beside me. Many of you that read my blog know my sister-in-law, Jan Cochran. Yesterday afternoon, Jan left for work as usual, but rather than reaching her intended destination, she was ushered into glory with her Savior. The police investigation is ongoing, but it appears an intoxicated driver veered in front of Jan, causing a head-on collision. He was driving a pick-up. Jan was driving a small car. They attempted to get Jan’s heart going in the ambulance, but were unable to do so. We have the sweet confidence that Jan is with her Savior, and that this has not taken Him by surprise. For us, on the other hand, we’re here still on earth thinking this just doesn’t seem real. Jan was a special woman who had a positive impact in so many of our lives. She will be greatly missed. We appreciate your prayers during these difficult days. We’ll update you when funeral arrangements have been made. This LINK will take you to the NEWS REPORT for more details. This LINK will take you to the obituary. Have you ever had a month that came and went and you were left spinning your head wondering how it happened? That’s what this April was like for me. It seems like just yesterday I was flipping the calendar to begin April…and suddenly I’m flipping it again and we’re into May. Between the multiple responsibilities that make up my life—plus Easter weekend, a weekend trip to Canada, and another weekend with visitors—the month came and went way too quickly! From the lack of activity on my blog, to my scaled back to non-existent activity on social media in general, it was a good month to take what I would call a social media sabbatical. It’s needed at times. Just some time to disconnect where possible and re-evaluate things. So the calendar has been flipped again. A new month has begun. I’m getting connected again. Back into social media. Back into blogging. Back into facebook. Back on the grid. So, how was your April? Anything interesting to share? Feel free to comment! I am a pastor’s wife, former missionary, mother of four great sons (and a wonderful daughter-in-law! 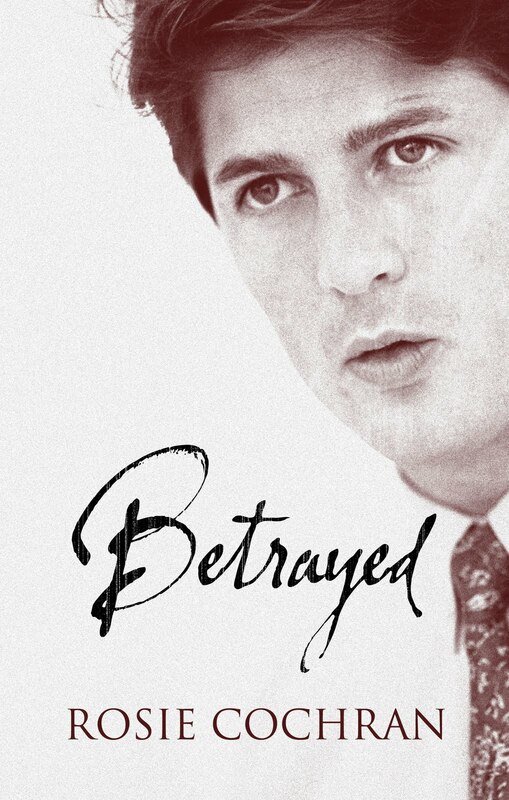 ), and author of three books: Betrayed, Identity Revealed, and A Murder Unseen. (Available at: Amazon.com.) I have a passion for God, my family, and writing! Follow me on Twitter and Facebook. Ten years have passed since the terrorist attack of 911. Tears will fall today as people remember the loved ones lost on that horrific day, a day that shook our lives, a day that redefined us as a nation. May we never forget September 11, 2001. Though temporary by nature, the Sand Sculpture Tribute of 911 was on display at the NYS Fair for all to see, preserved in pictures for years to come. May we never forget 911. …and those who sacrificed their lives to save the lives of others. A Peek Preview Is Now Available! 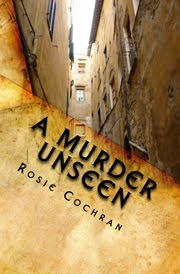 Get a peek preview of my newest Christian suspense novel, A Murder Unseen, at Amazon’s “Click to Look Inside” feature! 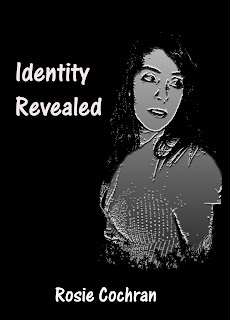 A Kindle version will be available at http://www.Amazon.com in the near future! Sandra Ford is at the wrong place at the wrong time. She doesn’t see a murder. She just hears it. It seems like an impossibility to convince the police that it is more than just a figment of her imagination. That impossibility fades in comparison to the unbelievable nightmare Sandra soon finds herself in. Suddenly the police believe someone was killed—and Sandra is the prime suspect! and clicking on the LIKE button? Thanks! My vacation began with a flat tire that led to replacing all four tires—and being and hour and a half late to pick up my favorite (oh right, and only!) sister at the airport. We went to the Texas Road House for supper! Tim Horton’s for lunch the next day! Our brother missed his flight—and didn’t even know if he would get in that night—so we headed to our folks place in Canada for the afternoon and evening. Despite dire predictions, Chris did arrive late that night. We pulled into our home about 2:30 in the morning. Here’s proof that I really have a brother. Thankfully he inherited some taller genes from somewhere! While on vacation we’re allowed to be “Miss Behaving,” right? the Creekside Coffee House in Skaneateles, NY. On the way to Canada, be stopped for lunch at Duff’s in Buffalo, NY. We had to try out Buffalo Wings at the place they began! At the park in Hamilton, Ontario. All three of us siblings were privileged to be there! It’s been a great vacation!